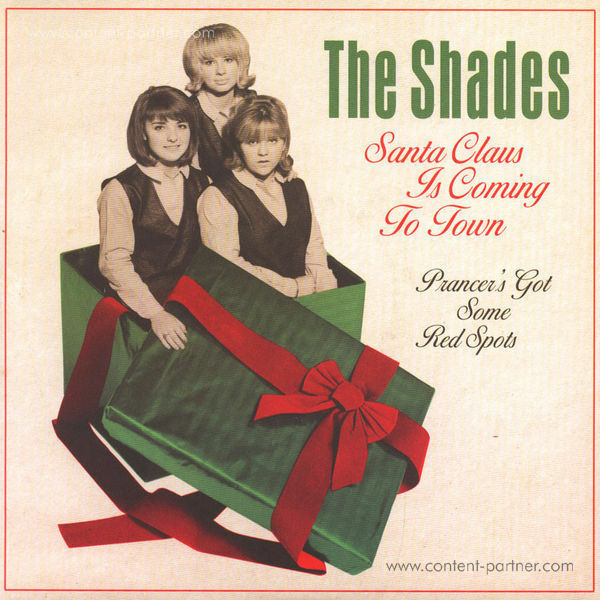 The Shades: Santa Claus Is Coming To Town Girl group greatness for your holiday soiree! 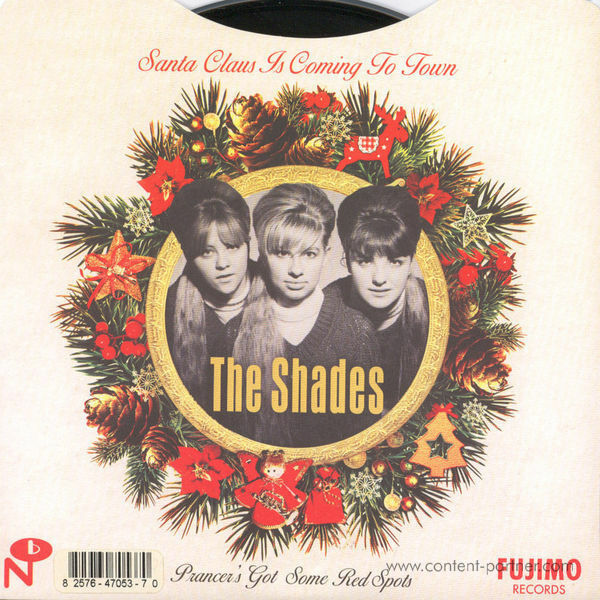 Figuring it would take a Christmas miracle to break them out of rural Indiana, the Shades--Cindi, Jannie, and Suzi--traveled to Chicago's RCA Studios in 1966 to cut the yuletide classic, 'Santa Claus Is Coming To Town.' 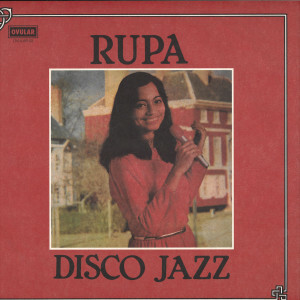 Backed with the original 'Prancer's Got Some Red Spots' and released on Indiana's tiny Fujimo label, the 2015 reissue comes housed in a festive pic sleeve featuring the teen trio at their most merry.